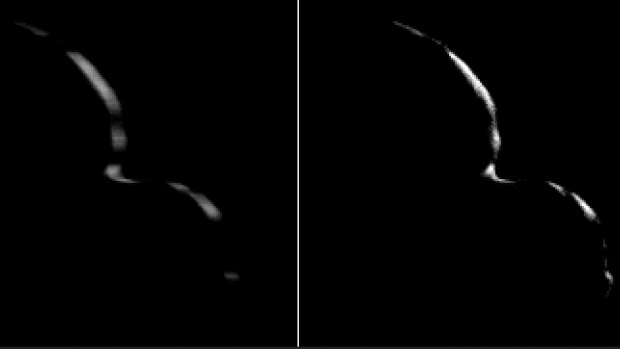 Pictures released late last week -- taken shortly after closest approach on New Year's Day -- provide an outline of the side not illuminated by the sun. Ultima Thule -- considered a contact binary -- is the most distant world ever explored. New Horizons zipped past it at high speed, after becoming the first visitor to Pluto in 2015. Mission managers hope to target an even more distant celestial object in this so-called Kuiper Belt, on the frozen fringes of the solar system, if the spacecraft remains healthy.